Brief："It will enable the firm to zoom ahead of its foreign counterparts, such as Japan-based Panasonic Corp and South Korea-based LG Chem Ltd," Xiao said. Contemporary Amperex Technology Ltd will invest 240 million euros ($281 million) on a production base in central Germany, as part of the company's efforts to expand its presence in Europe. 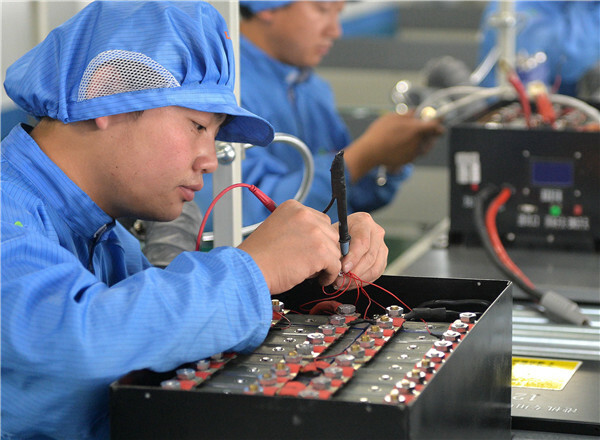 The Ningde, Fujian province-based company that makes batteries for electric vehicles said the new factory will be built in two phases and start operations in 2021, with an annual output capacity of 14 gigawatt-hours. "We hope to bring the world's most advanced power battery technology to Germany. By localizing the production in Europe, the company expects to be closer to European clients and offer them more timely and effective product solutions," said CATL Chairman Zeng Yuqun. 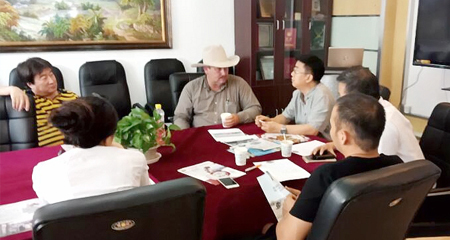 Zeng said China and Germany are highly complementary in battery production, research and development. "Germany's strong manufacturing infrastructure can help CATL manufacture reliable and quality products. Meanwhile, German automakers need CATL's battery technology to promote product development and overseas expansion." CATL said the new site is expected to create about 600 local jobs. The European facility will supply world-leading carmakers in the region, such as BMW AG, Volkswagen AG and Daimler AG. The firm's factory will be based at Erfurt, in Thuringia, making the site "one of the most important European locations for battery technology," regional economy minister Wolfgang Tiefensee told German news agency DPA. CATL's expansion in Europe came on top of a plan to build a 24 GWh factory in Ningde with a goal to develop next-generation battery technologies. To finance these projects, the company raised 5.46 billion yuan ($820 million) in its initial public offering last month, the largest ever on the Shenzhen Stock Exchange's Growth Enterprise Market. Fueling the ambitious expansion plans of the battery major is the Chinese government's push for electric vehicles, aiming to shift consumers away from internal combustion engines. In 2017, CATL's sales ranked No 1 among the world's top battery producers, according to Shenzhen Gaogong Industry Research Co Ltd. The company has set up branches in markets including the United States, Canada and Japan. Xiao Suo, an analyst at brokerage Huajin Securities Co Ltd, said: "The move will raise CATL's production capacity and help the company respond to local clients' demand in a timely manner." "It will enable the firm to zoom ahead of its foreign counterparts, such as Japan-based Panasonic Corp and South Korea-based LG Chem Ltd," Xiao said.